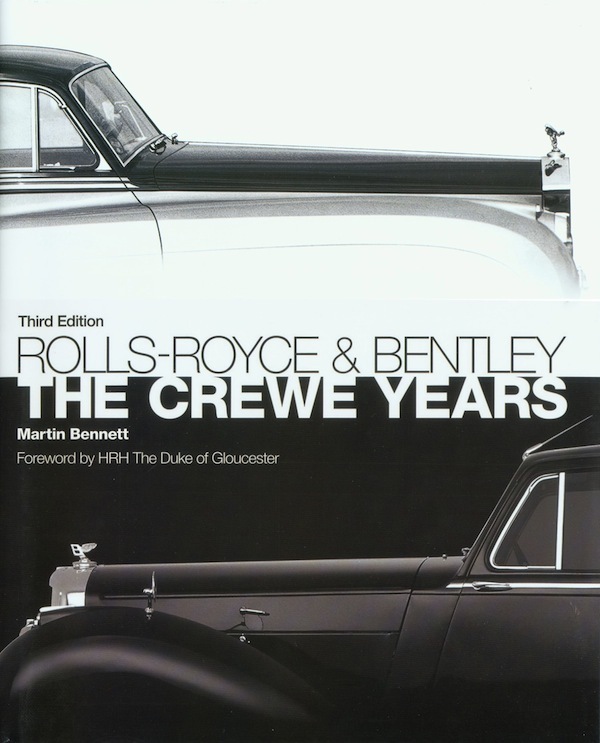 When this book first appeared in 1995 it quickly established itself as the primary source on all the cars Rolls-Royce built at their plant in Crewe, England from 1946 onwards. In effect Bennett had done for the postwar cars what Anthony Bird and Ian Hallows had done in their seminal 1964 volume The Rolls-Royce Motor Car and the Bentley Since 1931 covering all Rolls-Royces from 1904 and Bentleys after they were acquired by Rolls-Royce in 1931. Bird and Hallows, last reprinted in a revised 6th edition in 2002, remains an absolutely essential book to have. Many general books on these marques have been published, as well as specialised ones on select postwar models, but none covering the postwar cars in one single authoritative volume. For this reason Bennett’s book stands fair to become the Bird and Hallows for the postwar period and is unlikely to have many imitators. The book treats all postwar models prior to the 1998 Rolls-Royce Silver Seraph/Bentley Arnage and describes them in logical groups. Why does a book published in 2011 end in 1998 when there clearly are cars being produced after that date? 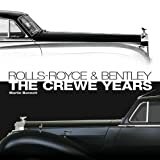 Because 1998 is the year in which Rolls-Royce Motor Cars ceased to be a British-owned company and Rolls-Royce car production moved to Goodwood in Sussex whereas Bentley Motors continued at Crewe. Interspersed in the model history are chapters on the factory and its working methods, and on the diminishing coachbuilt ranges. 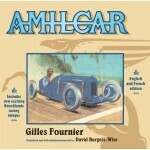 Each model receives a considered assessment with all the technical detail one could wish for, and concludes as before with excellent tables covering modifications, “firsts”, coachwork output, and series numbers and totals (updated or corrected where necessary and in a clearer layout than before)—at your fingertips all the normal questions are answered. But what really makes the book irresistible is the sheer range of photographs, drawings, and advertisements, way beyond what is normally included in books of this type. Engines, outline drawings, parts, accessories, interior fitments, and of course the cars themselves all beautifully reproduced. There is a large increase in the number of images not seen before. 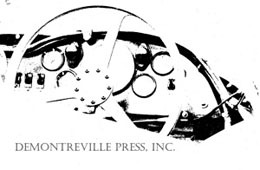 The 2nd edition in 1999 continued the same format of the first, printed in black and white. This 3rd edition now adds even more value by being in a larger format and with many sections in color. The result is much larger picture sizes and the number of pages increases from 366 to 480. The effect on the reader is instant—you don’t want to put the book down, heavy though it is on art paper. In every way this book has grown in stature. In the twelve years since the last edition the Rolls-Royce and Bentley world has seen many changes, both on the corporate side and in the three international marque clubs. Due to their high build quality and general collectability these cars have an uncommonly high survival rate with some 70% (conservativly) of the ca. 125,000 pre-1998 cars still on the road. As the cars—and their custodians—get older, and restoration, repair, and parts cost rise as incessantly as auction prices for many of the older cars, the next generation of owners is being confronted with many challenges. The postwar cars, the ones shown here, are seen as more approachable and Bennett’s book can only reinforce this appreciation of their variety and charms. Changes at the company level paralleled that of the enthusiasts. 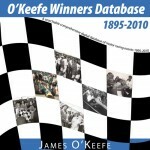 Here the book ends with a chapter entitled “The Company sold, the Rolls-Royce marque lost”, a quite moving though factual account of the ownership changes in 1998 when then-owner Vickers wanted to divest itself of some of its holdings and sold the marques at auction to Volkswagen who then sold the Rolls-Royce portion to BMW. Bennett mourns this loss of independence and the effective change of the hallowed name into a mere brand. Later generations will not have the same outlook but for those who have long known the continuity of Rolls-Royce history it remains a difficult period. Bennett (b. 1949) had and has more than a passing interest in the marque/s. He joined the first of several marque clubs already as a 17-year-old and has owned several models since. More importantly, from 1984 to 2004 he was editor of the Australian club’s magazine Praeclarum and wrote several important marque books since 1973. The story of the cars after the company “fell into” German hands in 1998 is thus not one Bennett has any affinity for. It will therefore be written by others. It is noteworthy that the architecture of Rolls-Royce’s V8 engine, introduced in 1959, remains the basis for the supremely advanced engine available in the current Bentley, a story told in Karl Ludvigsen’s recent book. Two small caveats apply to this book. 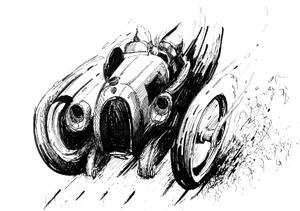 I found the index a little weak for a book of this size and depth, and there could usefully have been coverage of the competition so as to show more clearly why Rolls-Royce and Bentley were ahead in some periods or threatened at other times by advanced cars from elsewhere. None of this detracts from a remarkable volume and it will not be displaced by any other soon. If ever a book received the royal seal of approval it is this one with its foreword by H.R.H. The Duke of Gloucester, himself a considerable enthusiast for the marques. Highly recommended.